For over 30 years All Needs Dental has been focused on providing a supportive and caring environment when it comes to your dental health needs. Our goal is to assist you in maintaining good dental health and oral hygiene, ensuring you always feel good about yourself and your smile. We are an accredited dental practice and all the dentists in our practice are Australian Dental Association members. Quickly and easily book an appointment with our expert team of dentists. Do you need emergency dental attention? Get in touch for expert help fast. If you have questions about how we can help, please make sure to get in touch. Preventive dentistry is the modern way of minimising the amount of dental treatment need for an individual to maintain a healthy mouth for life. A crown (‘cap’) is a custom made covering cemented over a tooth to strengthen, restore, seal and improve the appearance of a tooth. General restorative treatment is the provision of fillings for missing tooth structure due to decay, trauma or developmental anomalies. Dental implants are made of commercially pure titanium inserted into the jaw bone to support crowns, bridges and/or dentures. Dr Achilles is one of the principal dentists who established All Needs Dental 30 years ago. 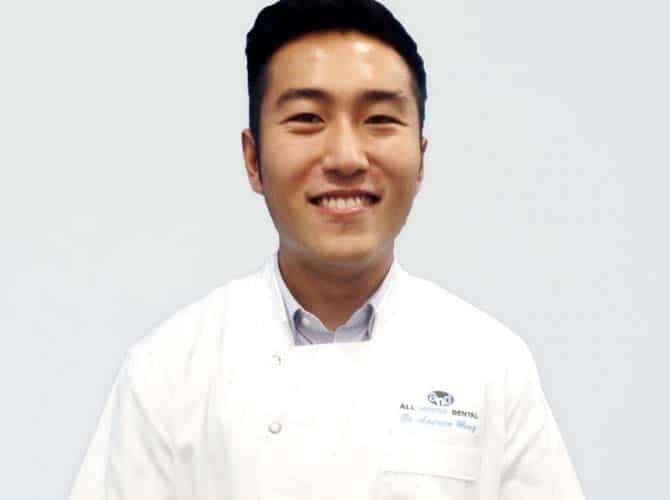 He has a special interest in oral surgery and dental implants and mentors for Sydney University Diploma of Clinical Dentistry Implant students. Dr Wendy is the other principal dentist who established All Needs Dental 30 years ago. 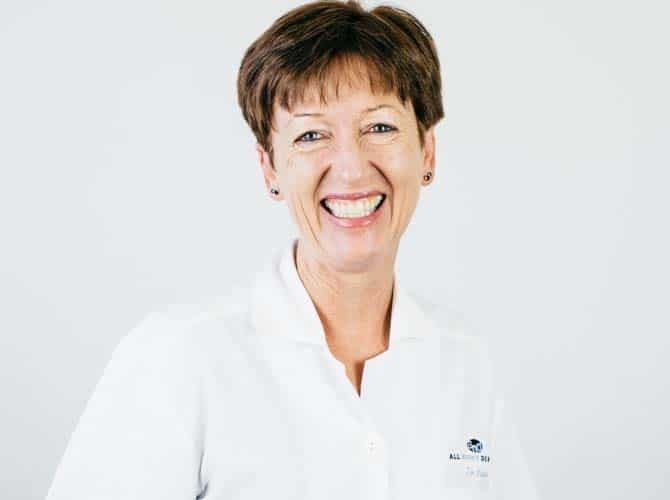 She works as a general dentist but has also provided sedation and pain relief for patients in the private and public sectors for the last 15 years. 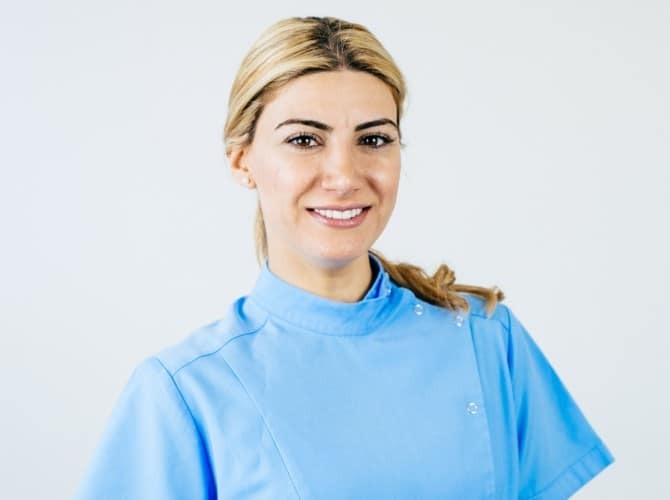 Dr Anna Constantinidis, associate dentist, graduated from Dentistry in 2009. 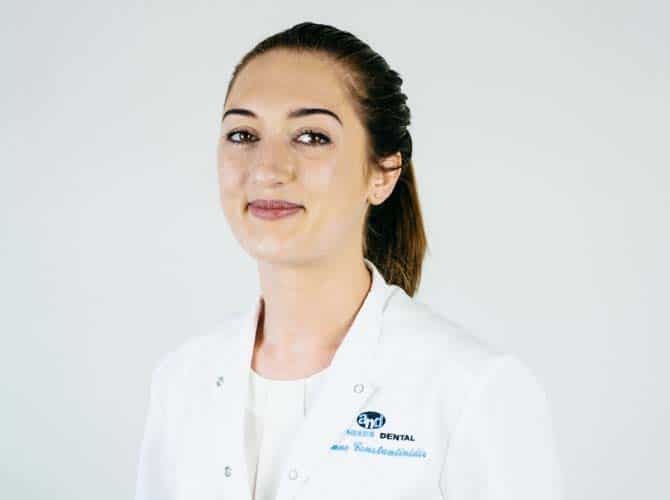 She enjoys all aspects of general dental care, has a particular interest in Paediatric dental care and is a member of the Golden Key Academic Society. Dr Michael Siderides completed his dental training at Charles Sturt University in Orange, rural NSW. During his course there, he travelled to many regional and remote areas and also spent time volunteering with the Royal Flying Doctor Service, providing dental care to isolated communities across Australia. Dr Andrew Wang is an English / Mandarin speaking dentist from La Trobe University in Bendigo, regional Victoria. He enjoys all aspects of dentistry, and especially loves seeing the confidence a healthy mouth can give. Ms. Christy became an oral health therapist (OHT) after completing a Bachelor of Oral Health at Sydney University in 2010. She is passionate about oral health education and works closely with our dental team to provide customised care in the maintenance and prevention of disease for children and adults. 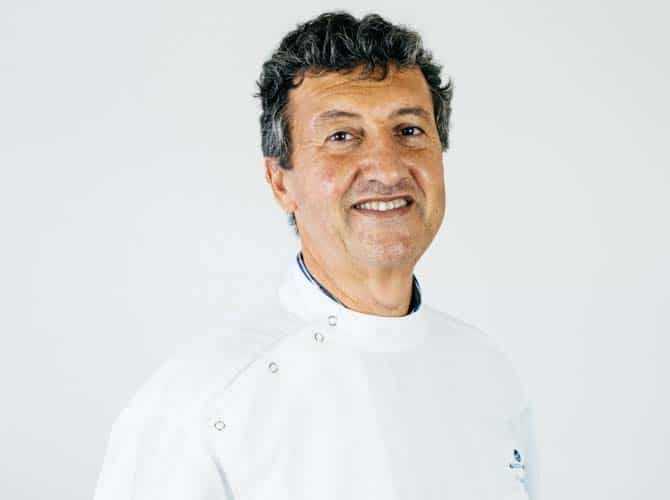 Our team is led by Dr Achilles Constantinidis, and Dr Wendy Lisle. 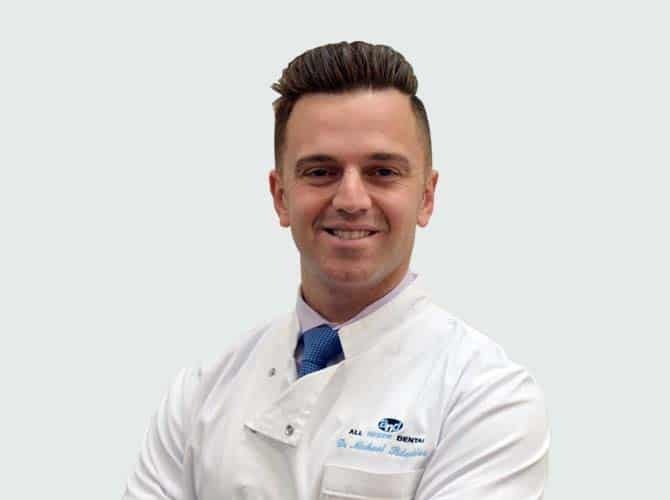 Together with our team of general dentists Dr Anna Constantinidis, Dr Michael Siderides and Dr Andrew Wang, we strive to ensure that you continue to have a happy and healthy smile for years to come. We provide an extensive range of dental services to our patients. From preventive dentistry to cosmetic dentistry and restorative dentistry solutions such as bridges, crowns and implants. If you have a dental emergency and require immediate relief, we can schedule a same day appointment for you. There is no need to put up with pain and discomfort, so call us now on (02) 9744 2799 to book. To learn more about our dental practice and friendly team of dentists, oral health therapists, clinical coordinators and front office coordinators, please visit Our Team page. A number of our dental staff are fluent in different languages, including our Mandarin speaking Dentist Dr Andrew Wang, Greek-speaking Dentists Dr Achilles Constantinidis and Dr Michael Siderides, and Ms Christy Nakkour, our Oral Health Therapist, who is fluent in Arabic. In addition, many of our Clinical Coordinators and Front Office Coordinators are also fluent in other languages including Greek, Arabic and Persian (Dari). Please see Our Team page for more information on each of our dental team. If you have any dental questions, you may find some of the answers at our FAQ Page. Major dental treatments can be costly and at All Needs Dental we work to keep our costs affordable. Your oral health is our main objective and that is why we have several different payment options available for your use. We understand that having this kind of flexibility helps us to accommodate our clients better. We accept payments in cash, Visa, MasterCard, American Express and for health fund rebate claims at the point of sale, we have EFTPOS and HICAPS. Do you have questions about how we can help with your dental care? We can help. Contact us today! Caring for patients in the Inner West of Sydney for over 30 years, including Burwood, Strathfield, Concord, Croydon, Enfield, plus other suburbs all over the Sydney region.